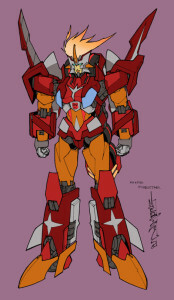 Over on his Tumblr, More Than Meets The Eye artist Alex Milne has revealed his designs for a few new female Autobots who’ll be showing up with the crew of Thunderclash’s Vis Vitalis, a few of whom were revealed on the cover to MTMTE #41. The characters he’s shown off so far are (G1 veteran) Firestar, Javelin, Proxima, Roadmaster, and Velocity. Check out all the designs in his Tumblr post!